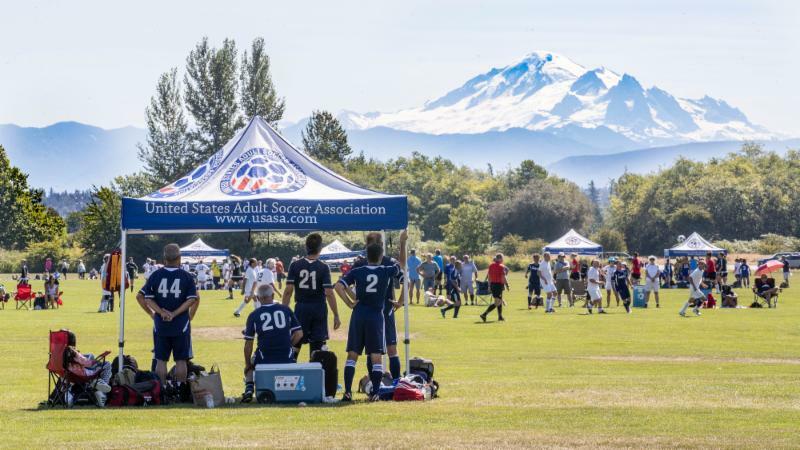 The latest edition of the USASA Adult Soccer Fest (formerly known as USASA National Veterans Cup) was held July 10-July 15, 2018, in Bellingham, WA. This was the fifth time we visited this location and this year it was for a special reason. We celebrated the 20-year anniversary since Tim Busch and Paul Scherer started the tournament. What a ride it has been and thanks to all of you. Compared to last year, the tournament went by without any major interruptions. The weather gods were on our side and we had excellent weather with no rain interruptions. This year we had a total of 108 teams and over 2,100 players participate in the tournament. We also had a record for teams in the Men's Over 70 (14 teams) and Women's Over 65 (8 teams) divisions. For the finals we had 13 championship games featuring some nail-biters, some PK shootouts and some new champions. The weather was warm but no humidity made it easier for the players to compete in these conditions. The players had their game faces on and left everything out there on the fields. In the Women's Over 60 division, a former champion Motor City Classic was looking to again hoist the trophy. NOVA FC fought hard and made it a very close game, but in the end, Motor City Classic was able to bring home the championship via penalty kicks (4-3). 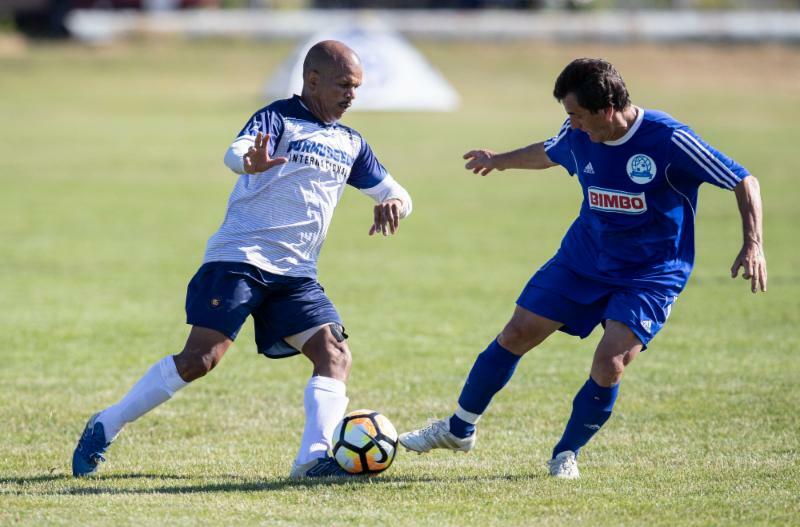 On the Men's Over 60 side Freddy Fund reached the finals and played against Connecticut United. Freddy Fund won this contest by a margin of 6-3 to take home the championship. We had two new teams competing in the Women's Over 40 final. Houston played Maryland United for the title and won by a score of 4-0. In the Women's Over 50 division, we saw returning three-time champion Leahi against Virginia OMB. These teams know each other well and a tough match was expected. The Hawaii team proved to be too strong again and won 1-0. This was their fourth championship in a row. The Men's Over 65 division featured Golden State Legends vs Freddy Fund. Freddy Fund won their second title of the day with a 3-0 win. 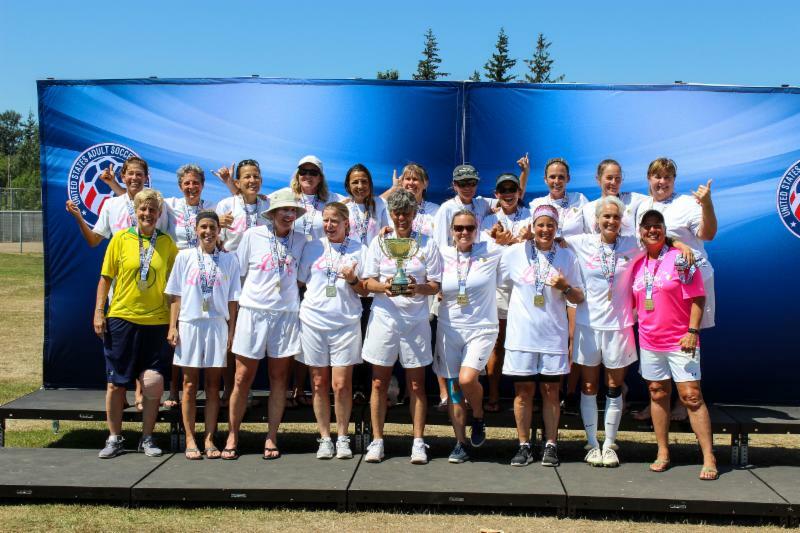 In the Women's Over 65 division, Lone Star Strikers returned to the final for the second straight year against Still Kickin. This was a hard fought game that ended in a 2-2 tie during regulation. The game had to be decided by PKs, which ended 3-1 in favor of Still Kickin. In the Men's Over 40, we saw St. Louis beat Athletico FC United with a final score of 1-0. This was the second title in a row for St. Louis. Two new teams battled for the Men's Over 50 title. Rebels played A.S.A.N with A.S.A.N prevailing by a score of 2-1. The Women's Over 55 final featured two-time returning champion Leahi vs Austin Allies. Another close game which was won in PKs (4-3) by Leahi. This was their third championship win in a row! In the Men's Over 55 division, Connecticut United was the returning champion and ready for another title. However, Curmudgeons had other plans and won a very close game by the final score of 2-0. Can't wait to see if these two teams will meet each other again next year for the rubber match. We had another rematch between Mass Spirit and Dallas Roma in the Women's Over 30 division. Mass Spirit triumphed again by a score of 5-2. This was their second title in a row. In the Men's Open division, we saw the local team Tacoma Narrows FC take home their first title and only one for the home state. Finally, in the Men's Over 70 division, we saw Alemania beat NC United by a score of 5-1. The word on the street is that the coach of NC United (Kim Bergenser) is recruiting a global All-Star team for next year. Many thanks to Tim Busch and Josh Vega from Washington State Soccer Association, the City of Bellingham, the staff from Phillips 66 Soccer Park and all of the volunteers from the local state association for making the 2018 USASA Adult Soccer Fest a success. This year we had approximately 80 referees from all over the country. A special thanks to all of the referees who donated their time to officiate matches. I also wanted to show my personal gratitude to the members of the USASA staff and tournament volunteers who worked tirelessly throughout the year. They made sure that teams, players, and referees were taken care of throughout the tournament. Without them this event would have not been possible. Don't forget to visit our Facebook page for pictures from the event. Later this week we will be sending out a survey to all players. We encourage everyone to participate in this. We are constantly looking for ways we can improve this event and your feedback is important to us. Next year tournament is scheduled for July 9-14, 2019. 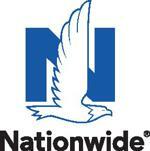 The location is being finalized and we will announce final details in the coming weeks. I hope everyone enjoyed this year's tournament and hope to see you back next year. We will break the record next year with a goal of 135 teams. 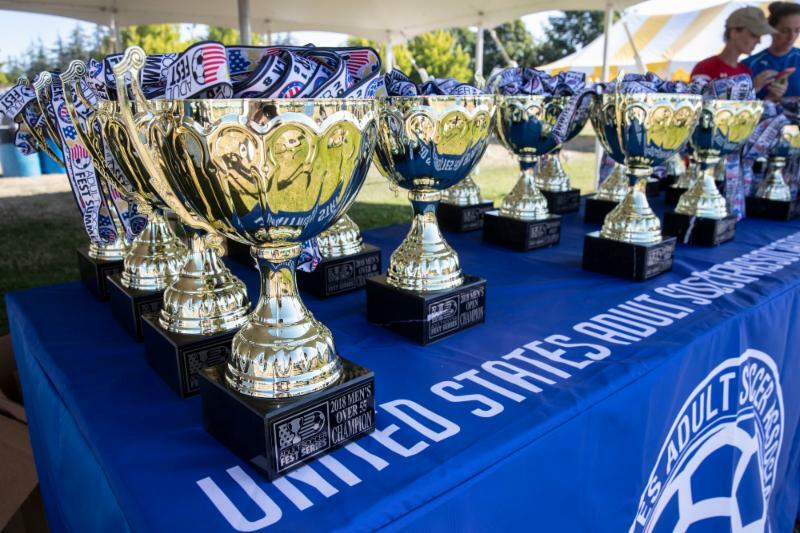 The USASA Adult Soccer Fest (formerly National Veterans Cup) was founded by members of the United States Adult Soccer Association in 1998 to provide the highest level of competition for players that are 30 years old and above. Throughout the years the tournament has been held in various locations including Bellingham, Washington; Nashua, New Hampshire; Beckley, West Virginia; Honolulu, Hawaii; Wilmington, North Carolina, Escondido, California, Nashville, Tennessee and many other great soccer locations. We average over 100 teams at this tournament.